The Special Services Unit aims to serve our communities children with special needs. We are dedicated to working collaboratively with parents, general education teachers, and professionals within the community in order to meet children's educational needs. Special Services Unit is part of a five county special education cooperation. We work closely with the Crothersville School System. Our staff performs a variety of services, which include testing, administrative counseling, and consultation with teachers and parents. We look forward to serving you, your child, school, and community! This graphic illustrates for parents the process of referring a preschool-aged child for an educational evaluation. The public school system provides educational evaluations for young children when either parent, physician, child care provider, or First Steps provider suspects a developmental delay or disability that could significantly affect performance in school. This document provides information to help parents prepare for an educational evaluation. Contact us at (812)-794-9608 Ext. 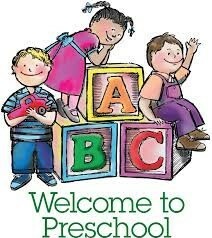 580 for any preschool questions.